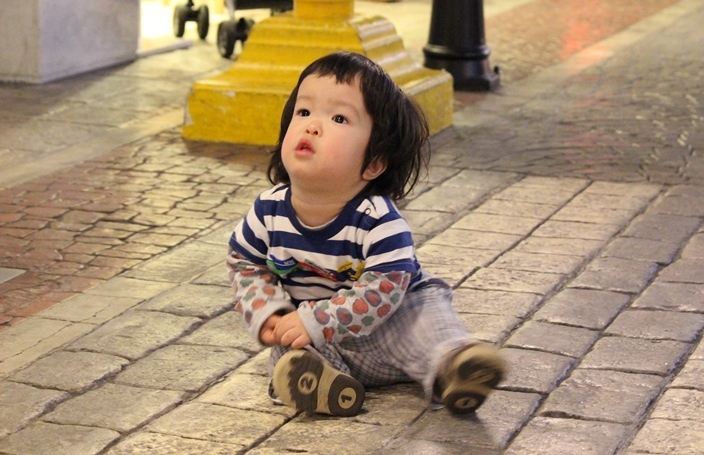 It has past 2 years and 8 months since Eigo’s birth. He can say 2 word phrases at last. Like “No, this.”, “See a train!”, “Hey, sister!” and so on. 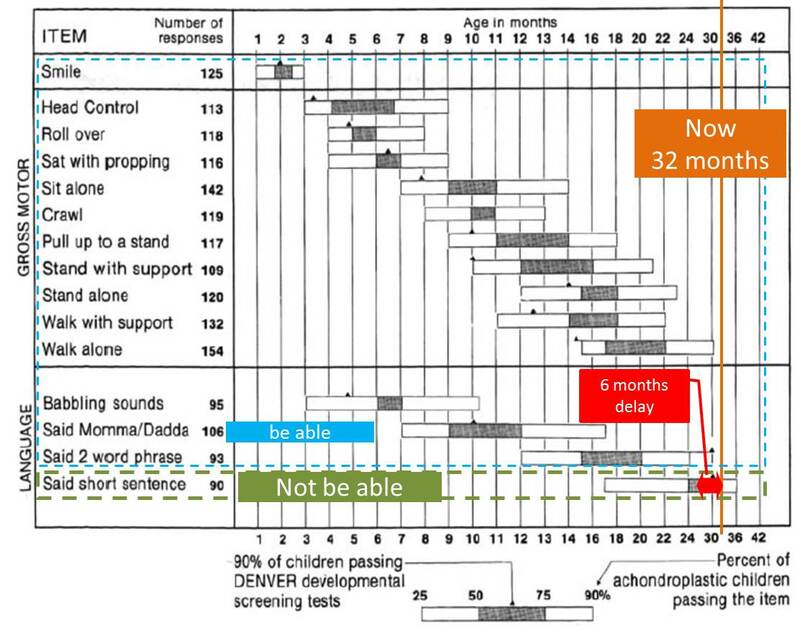 He recovered rapidly from a half year delay comapred to benchmark of screening tests with “Health Supervision for Children With Achondroplasia” that is guideline in America which was revised in 2005. Last Oct., it was almost 1 year delayed . The final target in near future is for him to say short sentences. I have been trying so hard because Eigo has not improved his language skills enough even if after his operation of the otitis media last Aug. Since one ear listening ability has not been so bad, it is not natural to think that was caused by hard of hearing. I’m not sure of the cause. One thing for sure is that his language skills has improved rapidly since I started to stimulate his brain and automatic nerve.